If you do end up buying yourself a copy of Photomatix 5 be sure to use the code LukeZemePhotography on checkout, to get 15% off! The guys at HDRsoft have also offered a free trial for you to play around with but Im pretty sure you will want this software after you get your hands on it. Because I use both a PC and MAC I use Photomatix 5 PRO and I like to be able to choose the Lightroom export and selective deghosting. Here are some examples of my imagery where I used Photomatix! Why not check out my HDR presets for Lightroom & Camera RAW. 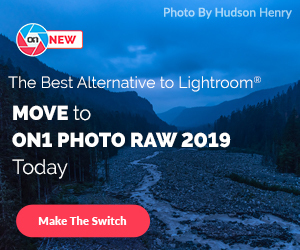 The presets will work with any Photoshop or Photoshop Elements with Camera RAW. It contains 50! Presets and sells for only $12.95. There are also some fantastic Landscape, Gradient Landscape and Nostalgic presets in it.